One question I have been asked over and over already is: Is that you on the front cover of Unexpected Beauty? **The answer to this question is NO. I find that question funny because I don’t think I look like the cover model, yet a lot of people who know me have asked if that’s me, and if so, who is the male model. While I am flattered that she and I may have some similar facial features … it’s not me! And I have no idea who she, or HE, is! Sorry! Another favorite is: Will there be a book for Connor? Aiden? Ryan? **Yes! Yes! And YES! 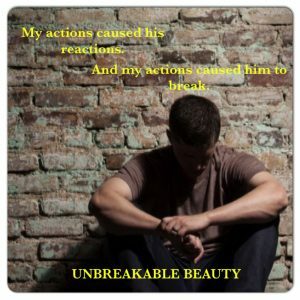 There are already books out for Connor (Chaotic Beauty) and Aiden (Changed Beauty). 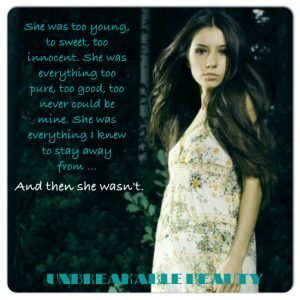 Ryan’s book (Unbreakable Beauty), which is the final book in the Beauty series, will be releasing October 17, 2017. Another question I am asked frequently is: Is anything you write in your books based on real-life? **Some things are, most are not. I’ve definitely mentioned this before in the “Fun Facts” section, but some things that I attributed to Samantha are really things that I enjoy such as reading, baseball, going to the Inner Harbor, and more specifically her favorite spot while there … her love of family, coffee, daisies, Otis Redding, dressing down instead of up, are all me too. Riley has some of my favorite things sprinkled into her too, though I must say Riley is not nearly as much “me” as Sam is. And lets not forget that I wrote Connor and Ryan as firefighters … And for those who know me … That’s definitely a thing for me! 🙂 There should be no doubt of why those two men are who they are! As for Allie and Beth … they have bits of me sprinkled into them too. Allie with her necklace that actually means something to her … a connection … Or Beth with her coffee mugs, her chucks … I know there is a LOT more … but yes, they all have bits and pieces of me. But when it comes to plot-lines, no. No real-life here. Another question that has been asked a lot is: Do you plan to continue to write once this series is finished. **Yes, most definitely! I already have two brand new ideas written down. They are both completely different from what I have previously written. One story is more lighthearted and dealing with sports and second chances, the other is dark and gritty. At the end of the final book in the Beauty Series I will most likely make my decision of what I write next … UNLESS one really starts taking over my every thought before then. That’s normally what happens … So we will see. One of my favorites is … What’s next? **Well … not too long ago I was leaning towards something dark and gritty ^^^ as I mentioned in my response to the question above. BUT then I wrote Ryan and Beth’s story … and I told you in the above answer … sometimes something just grabs hold and takes up everything. And that’s what happened when I wrote a character into Ryan and Beth’s story. 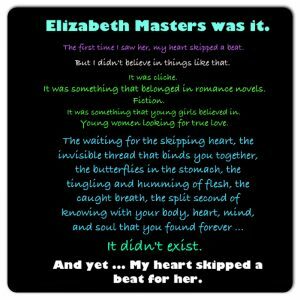 I was so caught up in Jackson Raines … and now he will be the next book up. And then after we have Jenks book. Then Reed’s. And then finally Knox’s. A whole brand new series! The question I love just as much as I hate … When will the next book be out? **I love this question because I KNOW there will definitely be another book coming out. I’m still living this dream! I hate it though … because I never know! I constantly feel like I am disappointing people and MYSELF when I say a book will be released in a few months, and then it gets pushed back because I am having a difficult time figuring things out, the story isn’t flowing, or well … life happens. I can tell you though that Ryan and Beth’s story will be 100% released into the wild on October 17,2017. And I can also say that Jax and Sky’s story is a WIP. I plan to have their story complete by the end of this year. That is the goal. Once upon a time I said that I would love their story to be complete and in readers hands by the end of the year … but life happened, Ryan and Beth and their story took longer than I anticipated with editing and tweaking, hammering out, an extended epilogue that I will never regret taking extra time for … So things needed to change. I really do plan on being done with Jax’s story by the end of this year with a release early Spring. I can say 100% that I definitely plan on releasing two books next year! But once again … FINGERS CROSSED! And lately I have been getting one of the hardest questions of all … Is that really the end of Samantha and Liam, Connor and Riley, Aiden and Allie, and Ryan and Elizabeth. **Yes, it is the end of their stories. No more books for Sam and Liam, Connor and Riley, Aiden and Allie, Ryan and Beth. No more huge scenes written for them either. BUT … you might see them briefly in passing … I mean … I love twists and turns and big reveals. But are they “done” … Yes, they are done. And they all live happily-ever-f*cking-after!! !